Click here for an article on John William Colenso. 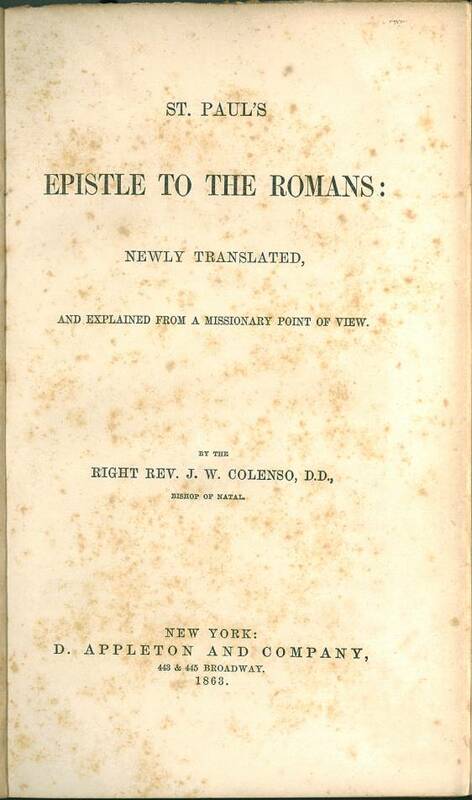 Title: St. Paul's Epistle to the Romans: newly translated and explained from a missionary point of view. By the Right Rev. J. W. Colenso, D.D. Bishop of Natal. Cambridge: Macmillan and Co. and 23, Henrietta Street, Covent Garden, London. 1861. Reference: Chamberlin 726-4, Herbert 2450. Facsimile: A pdf facsimile of the first edition is available on books.google.com. 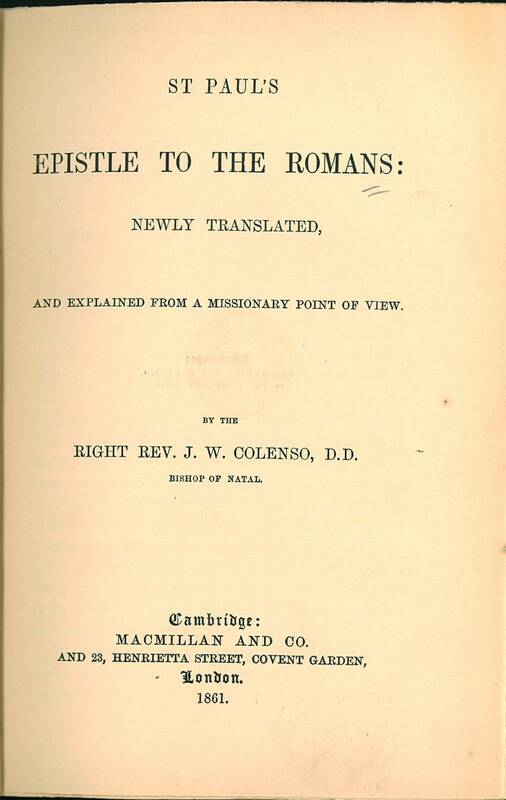 Title: St. Paul's Epistle to the Romans: Newly Translated, and explained from a missionary point of view. By the Right Rev. J.W. Colenso, D.D., Bishop of Natal. Reference: Chamberlin 726-4, See Herbert 2450. 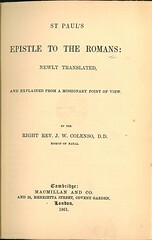 Facsimile: A pdf facsimile of the 1863 edition is available at archive.org.